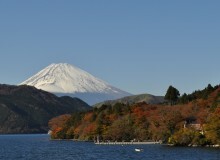 Anyone who’s been in Japan for a while—or anyone who’s paid any attention to the travel brochures at train stations—knows the country is big on its four seasons, of which each has its own “must-see” natural wonder. Spring’s cherry blossoms, however, quickly fade, and summer and winter have a certain temperature-based unpleasantness about them. 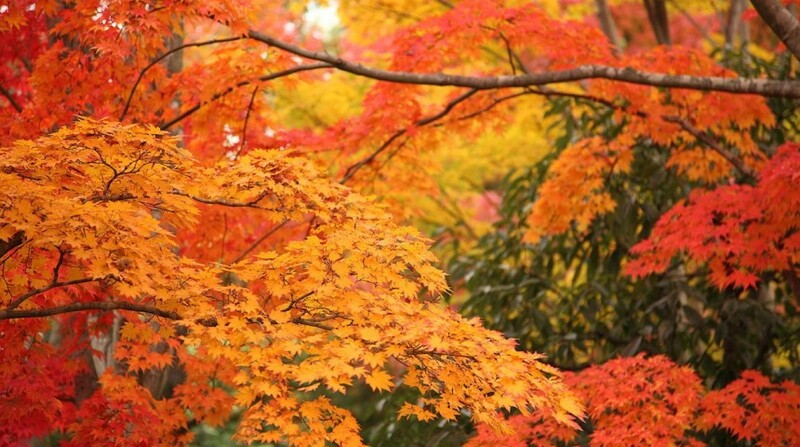 Fall brings a perfect balance of warm-cool, and with its principal natural delight—changing leaves, or kōyō—on display from October to December, it lasts long enough for even the busiest foliage fans to get in some leaf time. 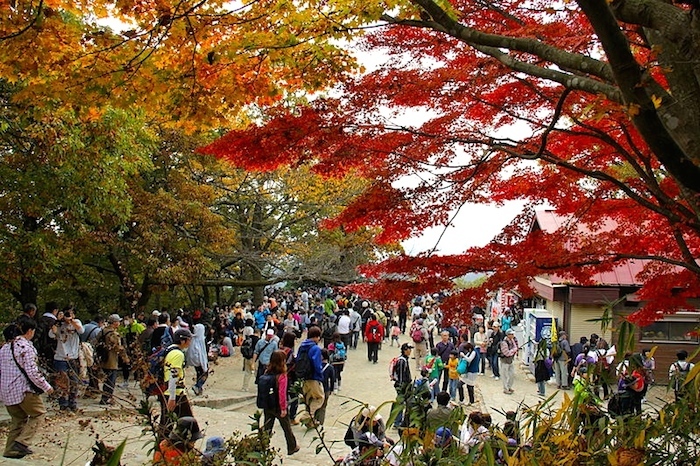 Obviously, location plays a part in how early or late the leaves change, but Tokyo is looking at mid-November to mid-December for the most part, with mountain areas starting earlier. So throw on a cozy coat, pack yourself a bento (bonus points for fall-themed lunches), and head out for some brilliant fall hues. 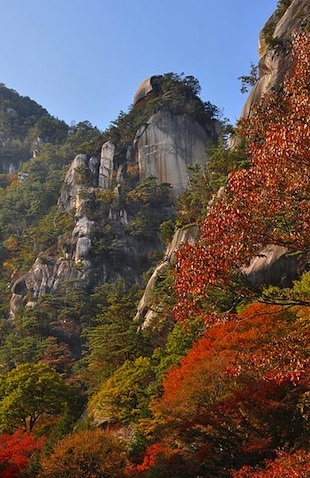 You can find a number of parks presenting prime fall foliage even without stepping outside the city. 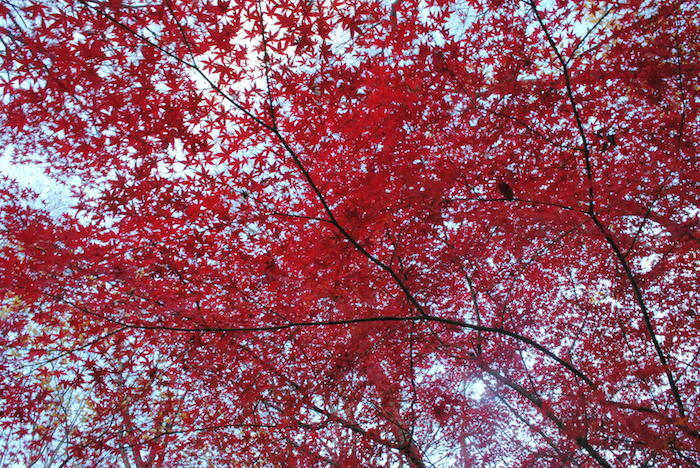 Showa Kinen Park sprawls sumptuously over Tokyo’s Tachikawa-Akishima area. 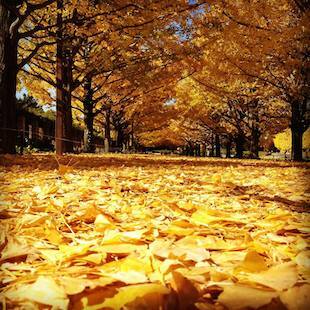 Its most famous fall feature is an avenue of ginko trees accessible from the Tachikawa entrance, though there’s also a Japanese garden with beautiful Japanese maples closer to the Sunagawa gate. Check the map on the park’s website to find the best station for your desired destination—or you could find yourself in for a long haul. The park also boasts several brilliant play areas, one of which is barrier-free, so if you’ve got wee ones who care less about brilliantly colored foliage and more about, say, bouncing, Showa Park has something to keep them busy. 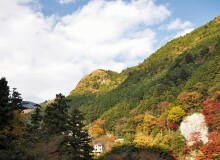 Aim for mid-November to see leaves at their vibrant peak. 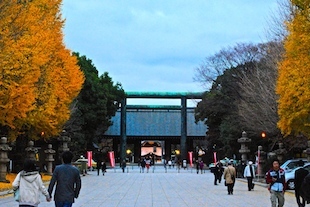 With Ueno, Shinjuku Gyoen, Yoyogi, Yasukuni Shrine and dozens more still on the list, Tokyo has far too many parks, gardens, shrines and temples to mention them all. Many are listed on the Tokyo Metropolitan Parks Association website and its Let’s Go To The Gardens page. Park-hopping is a great way to explore the city on fall weekends. One word of warning, though: due to dengue’s first appearance in Japan in 70 years, some parks have been closed or partially closed, including Yoyogi Park and Shinjuku Gyoen. Keep abreast of the news before heading out. And while mosquito season is winding down, it wouldn’t hurt to have some bug spray on you. 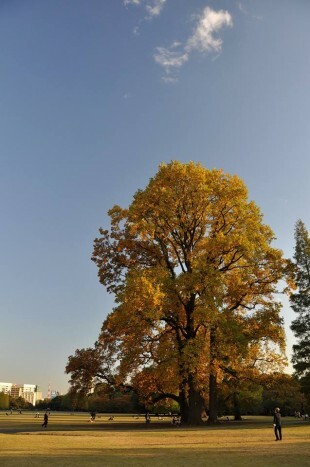 If you’re up for more fresh air and exertion than Tokyo’s parks can offer, head out to one (or more) of the many hiking trails in the hills on the city’s western edge. Tokyo is surprisingly close to the wilds of Japan, and although weekends and national holidays will find a good portion of the municipal population out there with you, there are more than enough trails for everyone. 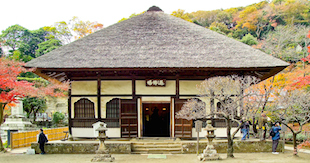 The especially eager should explore what else the Chichibu-Tama-Kai Park system has to offer.